The art historical and commercial significance of Andy Warhol cannot be overstated. As the pioneer of Pop Art, Warhol was an essential part of a moment in history that saw a decisive break with the art of the past. Warhol propounded an art of the everyday: drawing on quotidian subject matter while utilizing commercial forms of production. Pop Art deliberately rejected the high ideals of the abstract expressionist movement that predated it. Art was no longer defined by the craftsmanship of the artist or an ideology of exceptionality. The art of Warhol redefined what art could be. Warhol originated conceptual ideas that continue to hugely influence artists of the 21st century: ideas involving mass production, popular culture, appropriation and authorship. An artwork by Warhol is instantly recognizable. The visibility of Warhol in our contemporary culture is remarkable. It is impossible to think of Marilyn Monroe or a Campbell’s soup can without visualizing Warhol’s iconography. The mythology and imagery of Warhol has influenced fashion, advertising, film and music. His fame, ubiquity and cultural significance, translates into market value. This year we commemorate the 50th anniversary of Singapore’s independence. 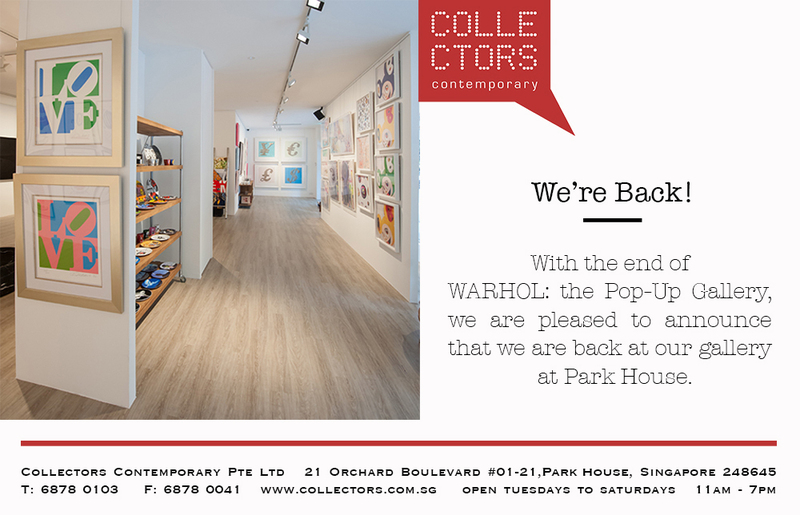 Collectors Contemporary marks the occasion celebrating one of the most significant artists of the 20th Century, with a pop-up exhibition and sale of museum-level Warhol artworks. To own a Warhol artwork is to own a piece of cultural history. As art historian Robert Rosenblum states, “Warhol’s art is itself like a March of Time newsreel, an abbreviated visual anthology of the most conspicuous headlines, personalities, mythic creatures, edibles, tragedies, artworks, even ecological problems of recent decades.� While each Warhol piece is a document of the recent past, his work continues to feel current, contemporary and relevant. 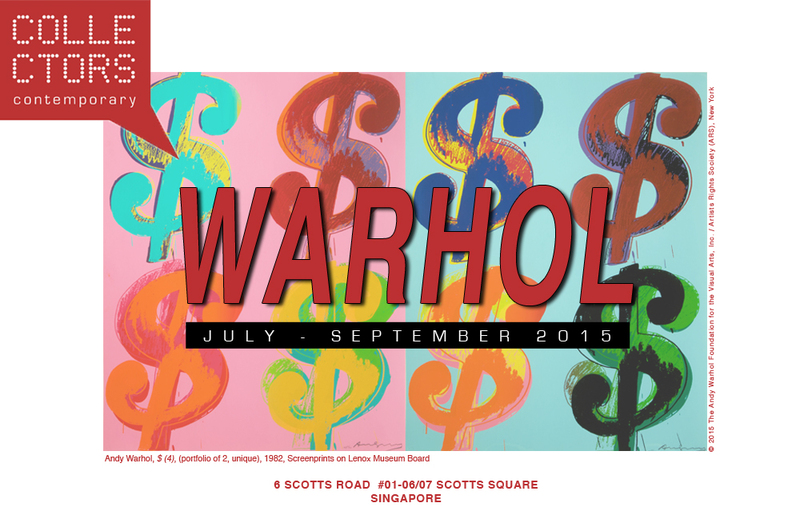 By being held in one of Singapore’s premier shopping locations, WARHOL brings the artist’s work into a direct relationship with two of Warhol’s obsessions: consumerism and pop culture. The show will enable collectors and visitors to access artworks containing Warhol’s iconic subject matter as well as rare paintings that seldom appear on the art market. 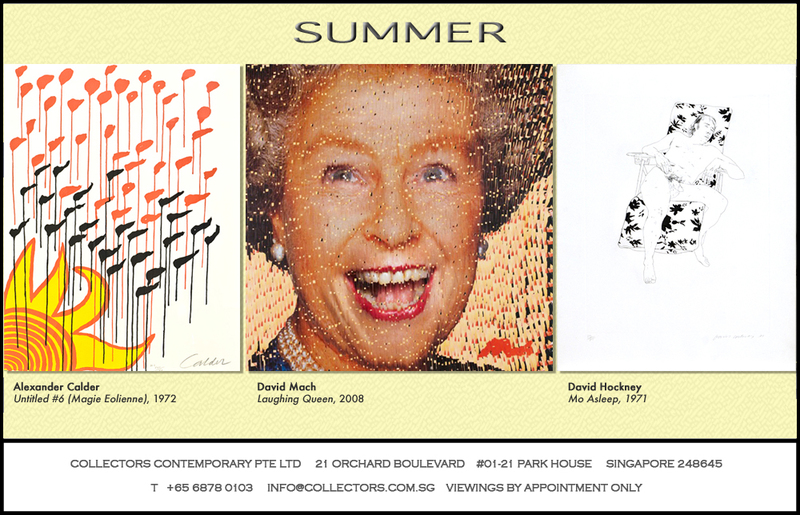 WARHOL illuminates the life and career of this globally renowned artist through this exceptional collection of works. Sarah Harvey paints fragmented figures floating in a liquid universe. Her luscious light filled paintings often depict the artist herself in turquoise and aquamarine waters. The artist’s highly original technique involves painting from photographic images that she has directed and then manipulated, resulting in deeply expressionistic paintings that combine abstraction and figuration. Harvey’s instantly recognisable practice was originally inspired by a green swimming pool she discovered when travelling in Italy, a trip she took on winning the Bartlett Travel Scholarship in 2003. Since then she has continued to develop a rich visual vocabulary featuring figures suspended and immersed in swirling pools of water. Harvey masterfully captures the swell, surge and undulating effect of the water as it refracts the form of the weightless human figure. Light is present in all of her paintings in the form of glinting reflections, distorted shadows and luminous ripples. Inspired by pioneering figurative painters such as Francis Bacon and Jenny Saville, Harvey’s work is informed by a conceptual interest in the physicality and representation of the human form. Her anonymous, abstracted figures emphasise the corporeality and sensuality of the body. Harvey plays with perspective in order to position the viewer both above, and immersed within these watery landscapes. In this way her paintings elicit an ambiguous feeling of escapism and voyeurism. The artist continually develops her signature intuitive and gestural aesthetic. Her most recent paintings involve a greater exploration into the abstract potential of an image. Harvey has received numerous accolades, including First Prize winner of the Ken Howard Award (2007), Grand Prix winner of Art Periscope Award (2007) and winner of the London International Creative Competition (2011). She was also shortlisted for the Celeste Painting Prize (2007), Art Review’s international competition (2009) and Saatchi’s Best of British (2009). Most recently Harvey’s painting Cubist Waters was shortlisted for the Saatchi Showdown: Places and Spaces (2012). Harvey’s works are in notable public collections including The London Institute of Art and the BP Corporate Collection. Sarah Harvey is represented by Collectors Contemporary. 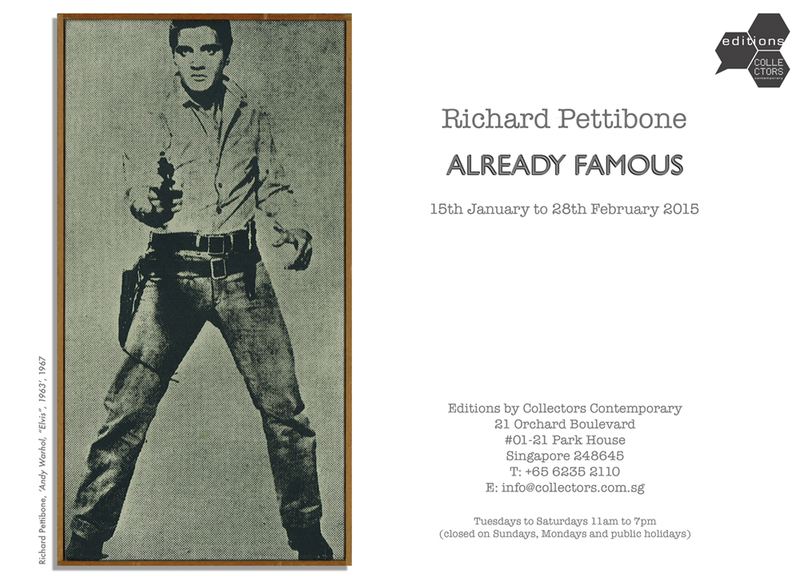 In the 1960s, Richard Pettibone began producing unique miniature reproductions of artworks created by contemporary masters such as Andy Warhol, Roy Lichtenstein, Jasper Johns and Frank Stella. These small jewel-like works are celebrations of the original masterpieces. Towering pioneers of Pop Art are reduced to pocket-sized, hand-painted silkscreens and canvases. Pettibone's works are a conceptual investigation into originality. It can be argued that for Pettibone, art history is subject matter. Pettibone cites Andy Warhol's 1962 exhibition at Ferus Gallery in LA and the 1963 Duchamp retrospective at the Pasadena Art Musuem as great influences. Building on the idea of Duchamp's "readymade", Pettibone selected existing artworks as his source material. He began by reproducing artworks from photographs in Artforum magazine: replicating the scale of the advert and adding his own nuanced modifications. He interrogates our understanding of artistic originality with wit and humour. Through appropriating the work of pop art pioneers, Pettibone steers our attention to the way artists such as Warhol furthered existing imagery, cajoling the audience to look at these images in new light. It is difficult to exaggerate the importance of ideas espoused by the work of Pettibone in relation to contemporary art. From the Chapman Brothers' modification of mint condition etchings by Francisco Goya to Shepard Fairey's use of political photography in his creation of Barack Obama campaign posters, conversations and controversies concerning appropriation continue to preoccupy artists. Already Famous presents work of masterful skill, critical acclaim and artistic innovation by a pioneer of appropriation. 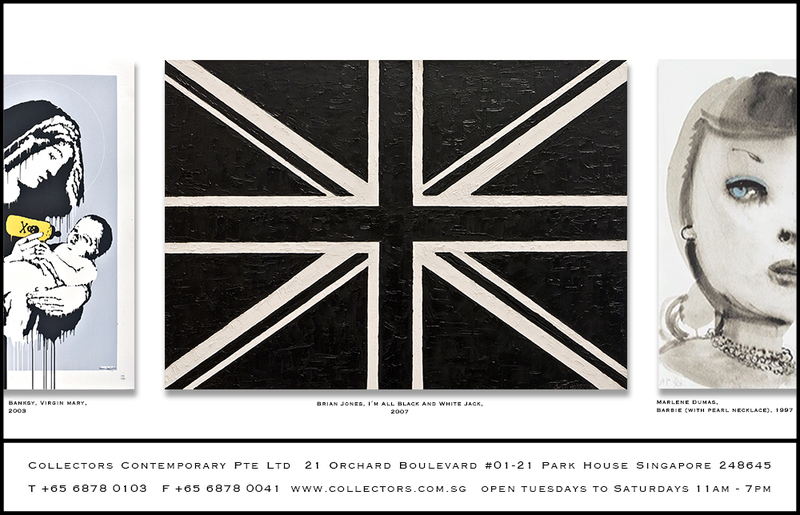 Collectors Contemporary is proud to present THE BOTANIST: a new solo show by contemporary artist Alexander Lee. Born in California to Hakka parents, Lee grew up in Tahiti, French Polynesia. He earned his BFA from the School of Visual Arts, New York; his MFA from Columbia University, New York; and an MPS from New York University. Lee worked as Studio Manager to Matthew Barney, before gaining recognition for his own unique practice. He is based in New York and Tahiti, and has exhibited to critical acclaim throughout Europe and the United States. 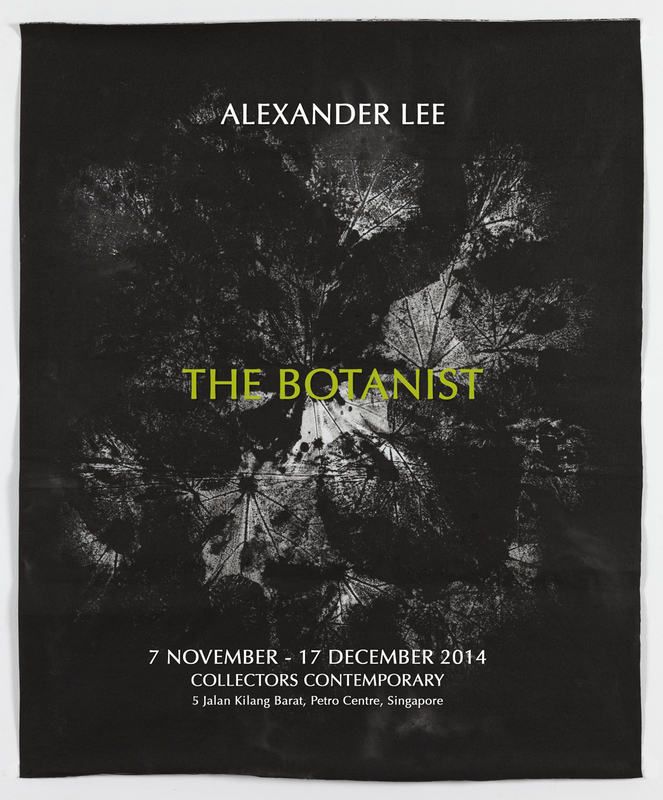 The Botanist will bring the work of Alexander Lee to Singapore for the first time. Lee draws on his rich cultural heritage to explore individual and collective narratives in a multimedia practice that includes drawing, painting, sculpture, installation and performance. A storyteller, Lee amalgamates personal memory, popular culture and history into a rich symbolic visual language. In The Botanist, Lee continues his investigation into cultural narratives, and issues of migration, colonialism and cultural hybridization. Through the plant motif of the breadfruit (uru), the artist conveys themes of sustenance, life, and transformation. For The Botanist, the artist has collected uru leaves from the neighbourhood tree where he grew-up and hand pressed them into compositions reminiscent of tapa (a traditional Tahitian barkcloth). As a child the artist would rake the fallen breadfruit leaves and burn them, the smoke from the fire warding off mosquitoes and evil spirits. To this day he continues this practice, raking and burning the leaves of an ancient tree that has stood in the same spot since long before his birth: a ritual that reconnects the artist to his fenua (homeland). Breadfruit is an essential component of Polynesian culture and history. In the Tahitian legend of Rua-ta’ata, a man transforms his body into a breadfruit tree in order to feed his starving family. Breadfruit also appears in colonial narratives of exploration and discovery. The botanist Joseph Banks took part in James Cook's first Voyage of Discovery (1768-1771) and in 1789, fostered the HMS Bounty's expedition to gather breadfruit plants to cultivate in the Caribbean. The HMS Bounty expedition was popularised in the 1932 Charles Nordhoff and James Norman Hall novel Mutiny on the Bounty, a now famous Hollywood movie starring Marlon Brando. The breadfruit tree unites and interweaves cultural narratives that permeated Lee's Hakka upbringing in French Polynesia. The breadfruit leaf has a formal beauty that Lee works with to create powerfully entrancing and poetic images. The artist has created a series of unique handcrafted artworks by dipping uru leaves in ink and hand-pressing them on polypropylene. He also employs different hand printing and transfer processes reminiscent of the monotypes of Gauguin, creating hauntingly ethereal images that have the quality of a weathered artifact. Lee demonstrates his artistry by using different media to explore his ideas. The resulting artworks suggest myriad associations, including Chinese ink paintings, Polynesian head ornaments, Tahitian bark cloth (tapa), celestial maps, traditional tattooing practices and botanical drawings. 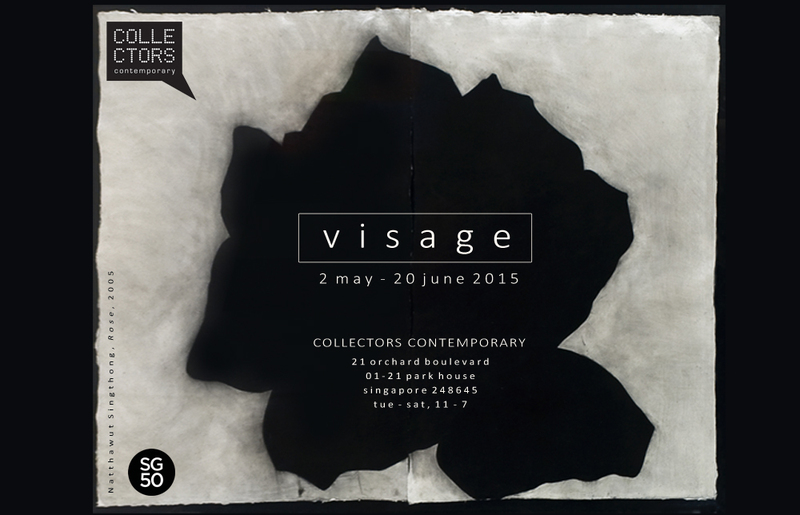 They form part of Lee’s wider endeavor of compiling his own “herbarium of post-colonial cultural motifs.� At the same time these lyrical compositions are open to interpretation, combining the abstract and the organic, they encourage the viewer to read their own narratives in the work. Lee's practice could not be more relevant to Singapore and a contemporary moment defined by globalisation and cultural hybridity. In the artist's work the breadfruit becomes symbolic of knowledge, learning, discovery, creativity and the international travel of ideas and cultural meaning.